A common question we get is "what territory do you cover?" Our answer is: we work wherever our clients are! With our growing number of appraisers and our willingness to travel, we can help clients just about anywhere. We can be flexible and creative in devising a plan to give you the help you need no matter where you are, and unlike many appraisers, we do not charge our full hourly rate for travel. Since we opened for business in January of 2016, we've helped clients from coast to coast to coast. 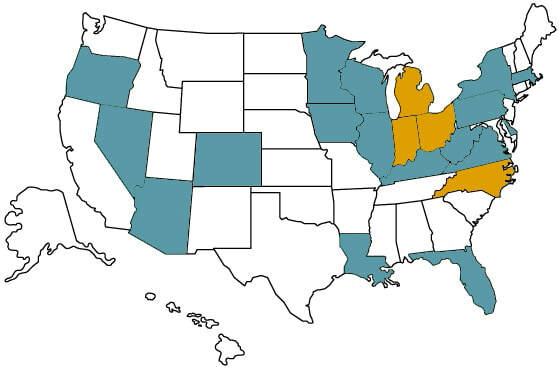 On the map below, those states highlighted in YELLOW are where we currently have appraisers, those in BLUE are those where we have clients (current and past), and those states in WHITE...well, that's where we want clients! 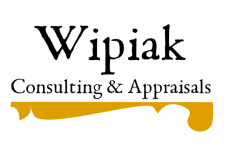 Don't let our locations prevent you from contacting us and discussing your appraisal or consulting needs. Chances are--we can help!